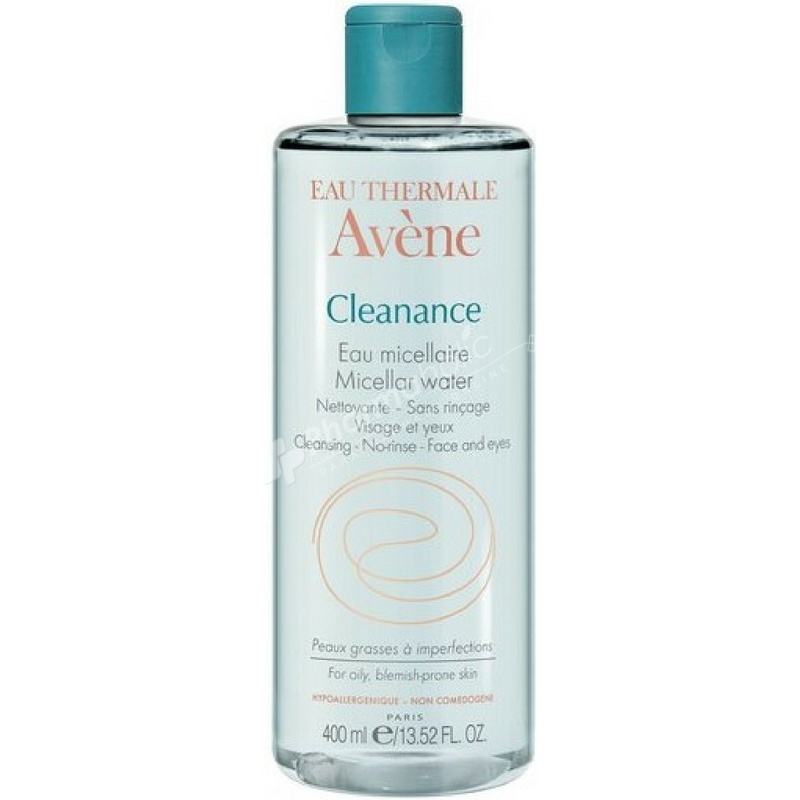 Specially formulated for blemish-prone skin, the Avène Cleanance Cleansing Water gently cleanses and removes all traces of make-up from the face and eyes. Contains sebum-regulating and purifying agents and leaves a matte finish onto the skin. No-rinse formula. Paraben free - Alcohol free. To use, soak a cotton pad with the solution and wipe across the face. Repeat until all the pads come away clean, and don’t forget the neck. Avene Thermal Spring Water, Butylene Glycol, Pentylene Glycol, PEG-6 Caprylic/Capric Triglyceride, PEG-40 Hydrogenated Castor Oil, Cetrimonium Bromide, Disodium EDTA, Parfum (Fragrance).